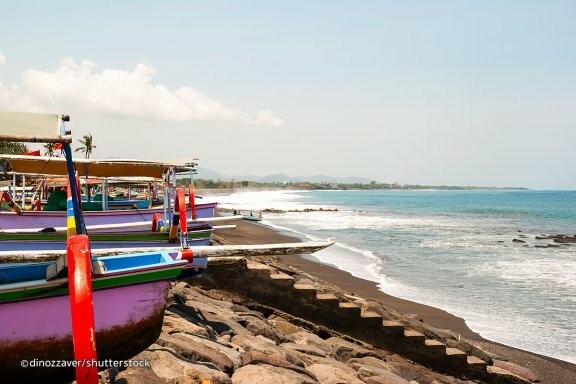 Part of the central coastal strip of Lovina, Banyualit Beach is one of the main harbours for local fishing boats. A majestic local sea temple – the Pura Segara Banyualit – is nearby, which serves as a sightseeing landmark on its own. It is quieter than Lovina Beach and allows for swimming, sunbathing and soothing sunsets with beers with less of a crowd. Traditional warung food stalls sell snacks and refreshments nearby.